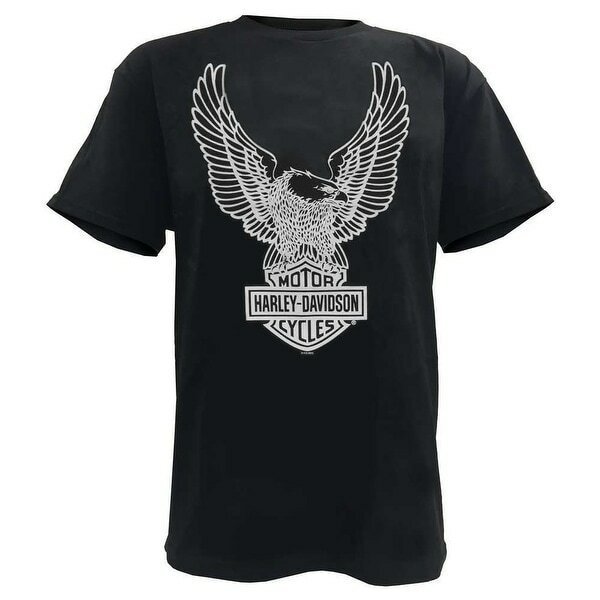 Wisconsin Harley-Davidson® Men's Up Swept Eagle Short Sleeve T-Shirt, 30296656. Features a classic and detailed up wing eagle screen printed graphic. Back features our Wisconsin Harley-Davidson Dealership logo. Soft shirt, made of 100% cotton.